Why would I need self storage in White Bear Lake, MN? There are a variety of reasons why you might need self-storage in White Bear Lake, MN. How much is a storage unit in White Bear Lake, MN? The cheapest storage unit in White Bear Lake, MN is $40.00 per month. What size storage units do you have available in White Bear Lake, MN? In White Bear Lake, MN we have sizes that range from 5'x5' to 20'x20' to suit your storage needs. How much is it for a 5'x5' storage unit in White Bear Lake, MN? The cheapest 5'x5' storage unit in White Bear Lake, MN is $40.00 per month. Located 20 miles northeast of Minneapolis, White Bear Lake is a small city in eastern Minnesota. The city is named for its location on White Bear Lake, which is one of the largest lakes in the Minneapolis-St. Paul metropolitan area. The lake's name is a nod to a local Native American legend featuring a brave warrior and a fearsome white bear. Originally hunting land for Ojibway and Dakota inhabitants, the White Bear Lake area was purchased for settlement in 1825 and quickly began to attract new residents. Due to its plentiful hunting grounds and scenic lake, the White Bear Lake area developed into a resort area accessible by steamboat or train. Though White Bear Lake's resort livelihood eventually died down, the city developed several other diverse industries by the time of its incorporation in 1921. White Bear Lake and the larger Minneapolis metropolitan area have diverse economies that include several major industries. If you're going to be looking for a job in the area, you'll benefit from this diversified economy by gaining access to a variety of job options. A few of the largest industries in the area include professional and business services, trade and transportation, government, and education and health services. The White Bear Lake area is home to numerous thriving businesses in the northeast suburbs of Minneapolis. Hundreds of businesses in the health care, education, finance, automotive and legal sectors provide thousands of local jobs. White Bear Lake students attend the White Bear Lake Area School District. The district also has four early childhood programs and hosts adult basic education and a senior program. There are also a few private schools in the White Bear Lake area, offering options for faith-based or secular education. Century College is a two-year college in White Bear Lake. It offers continuing education, transferable liberal arts degrees and many career and certificate programs. Utilities: Xcel Energy provides both natural gas and electricity to the homes and businesses of White Bear Lake. The city utilities department oversees water and sewer services. Garbage and Recycling: The city facilitates the regular collection of trash and recyclables. Transportation: Metro Transit operates several public transportation routes in and around White Bear Lake, including routes to the major cities of St. Paul and Minneapolis. If you're looking for affordable homes in White Bear Lake, you'll find numerous options near Columbia Park, Yost Park and Ramaley Park on the city's north side. 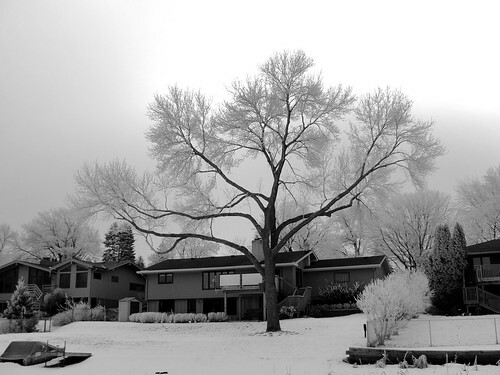 Larger, higher-value homes can be found along the White Bear Lake waterfront. White Bear Lake is a reasonably affordable suburb of the Twin Cities, with a lower median home price than several of its neighboring communities. Our lowest priced units in White Bear Lake, MN average $46.33 per month. 220 people have reserved units in White Bear Lake, MN in the past 30 days. There are 3 locations within White Bear Lake, MN's city limits. There is 1 location in White Bear Lake, MN that offers AC and Heating features.